Asphalt is frequently used as a paving material because of its cost-effectiveness and durability. Its ability to withstand heavy loads and its remarkable longevity mean it is often used in parking lots. Concrete is often used in construction because of its versatility. Ohio Paving has more than 20 years of experience in creating and maintaining concrete structures like parking lots, walkways, ramps, and more. When the integrity of a pavement has been excessively compromised by potholes and cracking, the best solution may be to resurface the entire surface with a new thin layer of asphalt. A resurfacing job will change the elevation of your parking lot and may necessitate other changes. Installing catch basins or “storm basins” for proper drainage, building new parking lots or roadways, and full depth repair are a few of the most common reasons why excavation services might be necessary. 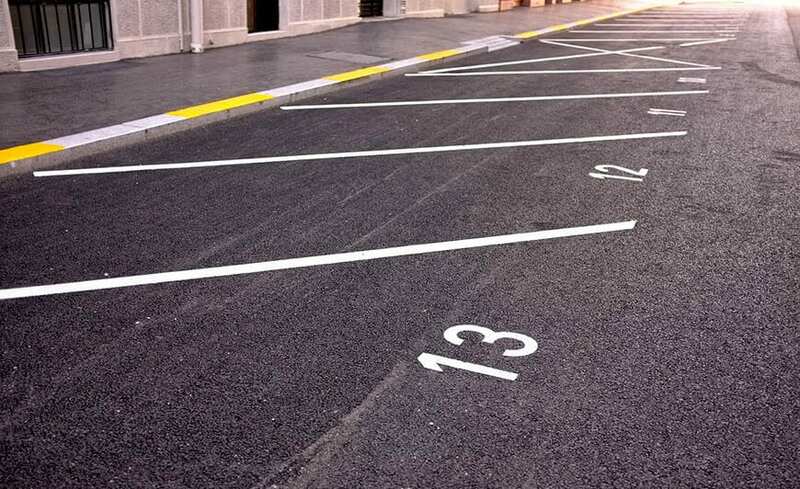 An effective drainage system beneath a parking lot vastly extends the lifespan of a pavement’s smooth surface. A crack sealant is often the first barrier against pavement deterioration. Well-laid crack sealant keeps water from entering the pavement, preventing weakening of the base or sub-base. When the elevation of a parking lot cannot be changed by resurfacing, the surface layer must be removed, or “milled” and repaved to restore the integrity of the parking lot. In certain cases, the millings can be recycled and used as part of the top-layer replacement. A pavement with clear markings directing the flow of traffic is an essential safety protocol and a great first impression. Ohio’s intense weather patterns cause fading that decrease marking visibility, requiring regular maintenance. Our engineers will take site surveyor information and build the parking lot design plans to meet every specification necessary for your facility. New parking lot construction and expansion is no small task- but Ohio Paving & Construction is always up to the challenge. Building for public schools, municipalities, and Nestle, we've always met and exceeded the expectations of our clients. Bollards aren't the first thing that comes to mind when developing a building's "curb appeal," but they can actually be vital components of a building's safety, security, and even aesthetic beauty. A distressed, neglected pavement will develop potholes of varying degrees of severity. 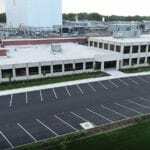 Ohio Paving & Construction offers patching, partial-depth repair, and full-depth repair. 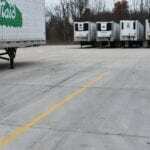 Sealcoating is an integral part of a successful asphalt maintenance schedule. It seals out harmful elements like water, salt, and gasoline and protects pavement from sun damage and costly repair- and keeps your asphalt looking blacker longer. 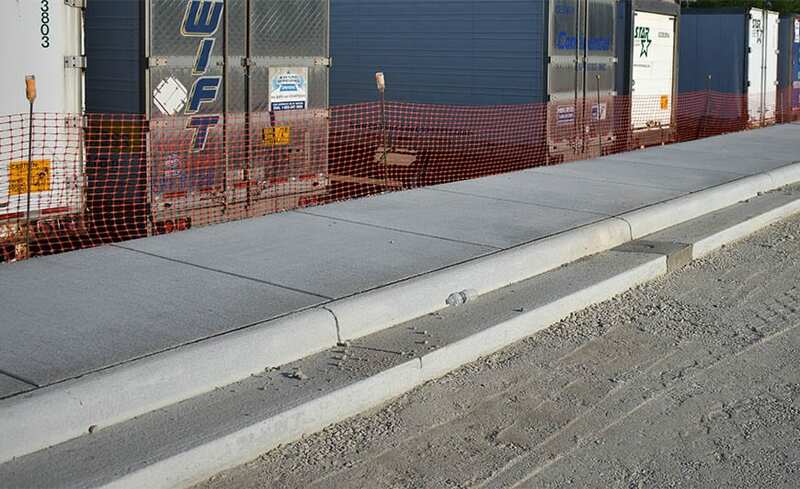 Concrete sidewalks can make or break the experience a pedestrian has at an establishment or within a municipality or neighborhood. Ohio Paving & Construction has experience building pristine concrete sidewalk pathways in any setting. Catch basins and storm drains are vital to the long-term health of a parking lot. Standing pools of water will radically increase the rate of deterioration that occurs in asphalt and concrete. Ohio Paving offers catch basin cleaning, installation and repair. Sustainable and environmentally friendly parking lot infrastructure varies widely in scope. Learn more about the green solutions to urban development and how Ohio Paving can help you make a environmentally responsible choice that's right for you.